Stitcher’s new podcast about everyone’s favorite X-Man offers up a compelling mystery set in a small Alaskan town, but far scarier than the string of grisly murders presented in Wolverine: The Long Night is a doomsday cult called Aurora that’s totally obsessed with something called “ley lines.” The supernatural, seemingly mystical energy given off by these lines that run all around the Earth might seem pretty fantastical, but there are plenty of people out there in the real world that believe in them. Wolverine: The Long Night kicked off earlier this month on Stitcher Premium, and in Monday’s third episode, called “Underground,” we learned a little bit more about Aurora as Agents Sally Pierce and Tad Marshall investigate the cult and how it might be involved in the town’s growing conspiracy. The cult’s base of operations is in an old cave system, and when asked why they set up shop there, the group’s leader Nicholas Prophet says it’s all because it’s a point of where “ley lines” connect. Notice that there's a point of convergence near where 'The Long Night' takes place in Alaska. Enthusiasts think these lines of supernatural energy converge on important, seemingly mystical places around the world. Conversely, some think the historical significance of these sites created an interconnected network of what we might as well call magical good vibes. Did aliens put these things here? Is it all just pure magic? Nobody really knows, and nobody can really prove anything. No data has been presented to support their existence. They pique the interest of those drawn to the paranormal and the extraterrestrial. Just about all university-affiliated archaeologists and anthropologists don’t believe ley lines actually exist, but many people still refuse to deny the lines’ influence on the development of human civilization as a pseudoscientific self-fulfilling prophecy. Perhaps the most convincing theorists say that legitimate magnetic energy is “created through cracks in the tectonic plate,” but there’s no evidence to support even that claim. Could the ley lines have something to do with mutants in 'Wolverine: The Long Night'? Much like the murders in Wolverine: The Long Night and the Aurora cult itself, exactly how the ley lines impact the story of this podcast remain a complete mystery. Other than Logan himself and one throwaway Easter egg from Episode 2, this entire story is an original creation of writer Benjamin Percy. Thus far, Logan is the only mutant we’ve encountered in the story, and even then he’s barely in the podcast. But in Episode 3, cult leader Nicholas Prophet did use some seemingly superhuman strength as part of a ceremony in which he sacrificed a deer. Does that mean he’s some kind of mutant, or does he use the ley lines as some kind of power source to give him supernatural abilities? And how might that relate to why the cult worships “The Night”? We can’t be sure just yet, but it’s all but certain this podcast will continue referencing ley lines. Promo art for 'Wolverine: The Long Night'. 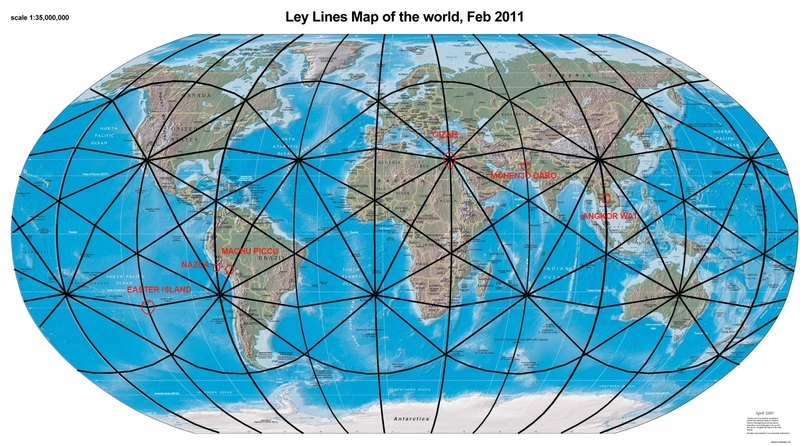 All things considered, ley lines are a pretty compelling plot device in genre fiction. Ghostbusters (2016) used ley lines to explain some ghost-related phenomenon, and in a world with mutants that have magical powers, it looks like Wolverine: The Long Night is shaping up to do the same. 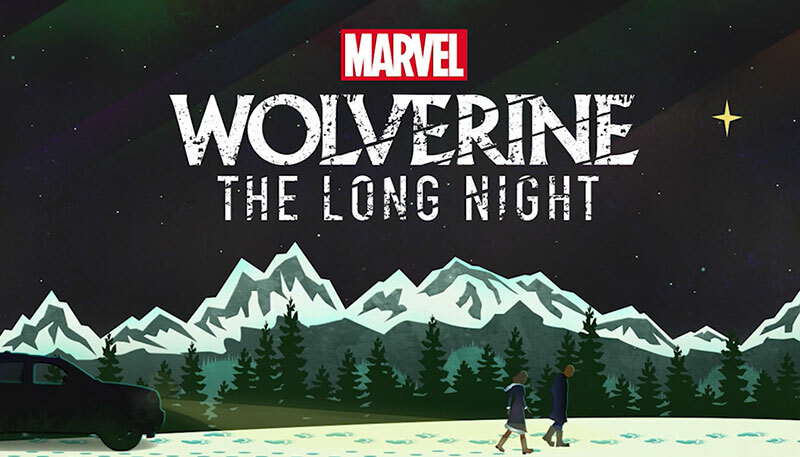 New episodes of Wolverine: The Long Night hit Stitcher Premium every Monday.